Six fine suites, 45-50 sm., constitute the brand new Almond house in Arachova! It is the “little brother” of Boutique Hotel Skamnos in Livadi that made its appearance this year in a privileged quiet location below the private parking, on the exit road from Arachova to Delphi, a few meters away from the center of the village. 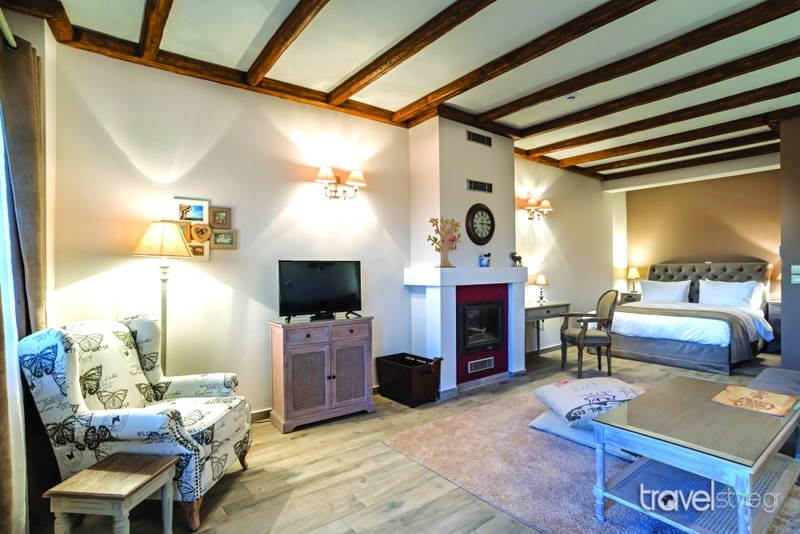 This one too surely stands out for the unique country style decoration… The suites are spacious, fine, with cozy corners, energy fireplace, modern bathrooms, espresso machines and a homey atmosphere all guarantee a dreamy stay exclusively for couples! From €85. • The free… view of the scenery in Delphi! 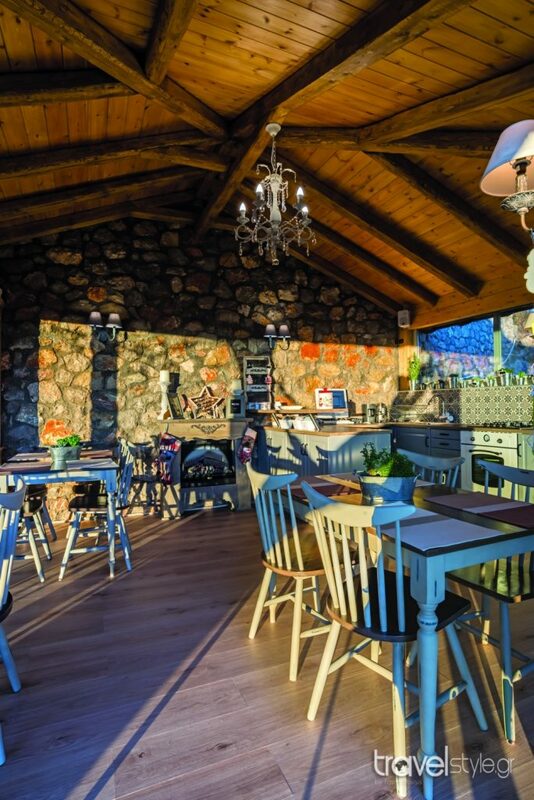 • The special space for breakfast -resembling a kitchen- with huge windows!